About three years ago, I was wandering around the Time Warner Center during my lunch hour, wishing I didn't have to go back to the office, when I spotted something truly wonderful. He was standing just a few feet away from me in a crisp chef coat, looking like he'd just walked off a movie set: sleeves rolled up with tattoos peeking out just so, lush jet black hair swept up and high like a modern-day Elvis. He had come up the escalator and was standing in the middle of the mall chatting with another chef. I froze and did my best to casually walk to a railing a few feet away, where I proceeded to pull out my cell and pretend to check messages. When I got back to the office, nobody knew what the hell I was talking about. "You guys! JOHNNY IUZZINI! Jean Georges' pastry chef?" Finally I just showed them a picture. "This guy, who not only looks like this, but also makes dessert for a living." 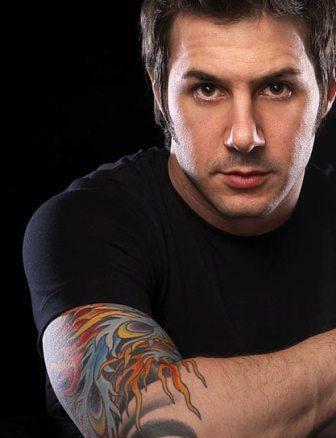 I thought about my (pastry) brush with fame again this week when I was contacted by the folks at Bravo in conjunction with the premiere of the 2nd season of Top Chef Just Desserts, the sweet Top Chef pastry competition which features one Johnny Iuzzini as head judge. As part of the celebration around the premiere, Bravo offered me a very sweet gift: they wanted to send me a little kitchen karma in the form of the pictured candy blue Kitchen Aid mixer and cupcake kit filled with hundreds of cute cupcake liners and toppers--to keep. And I was all like "Woah?! For me?! Awesome!" I gotta admit...I was totally tempted. I mean, I already have a Kitchen Aid mixer that I use on a near-daily basis, but the idea of having two of these babies sitting side by side on my counter whirring away was pretty exciting. Until I did a reality check. I don't need two mixers. (Though you can't blame me for daydreaming!) So I told the Bravo lady that I'd like to give the mixer away to one of you guys if they'd handle shipping. Which they happily said they would...and so here it is! To enter, all you have to do is leave a comment on this post telling me what your top dessert is. (Whether that's your top dessert to make or simply just to eat.) Contest open once posted until 5pm EST on Monday, August 29. Contest is open to US residents only. 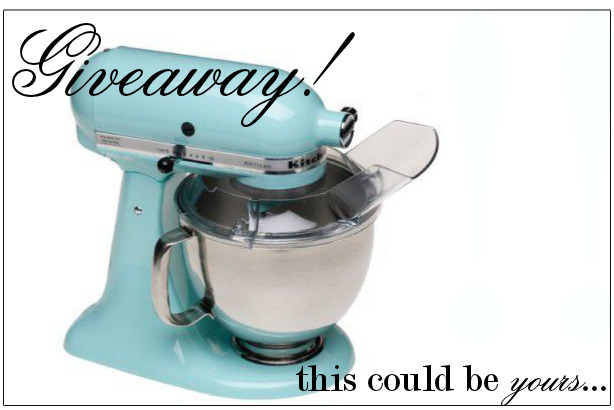 I will use random number generator to select one winner to get the grand prize of a Kitchen Aid Mixer. 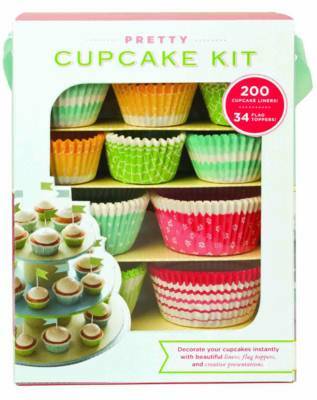 A 2nd place winner will win this really cool cupcake kit containing hundreds of cupcake liners and toppers. No purchase necessary to enter. Winners will be announced on Tuesday, August 30. Want more chances to win? Of course you do! 1. Post this message on your Twitter account & then leave a comment here to say you did: "Win a Kitchen Aid Mixer from @nandita & @BravoTopChef #JustDesserts: http://bit.ly/q0LJIw"
3. Subscribe to my newsletter (on the right) and leave a comment saying you did. 4. Post about this contest with a link to it on your Facebook page and leave a comment saying that you did. And be sure to tune in on Wednesday (8/24) at 10/9c for the premiere of Top Chef Just Desserts Season 2 on Bravo!